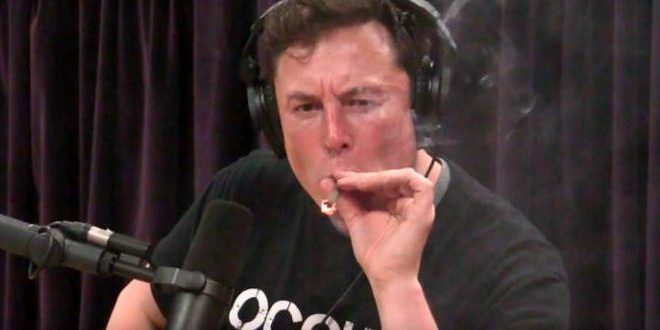 Elon Musk Smokes Weed In Live Web Show [VIDEO] - Joe.My.God. Musk has come under heavy pressure in recent weeks over his botched attempt to take Tesla private and his erratic behavior. But in the interview with Rogan, which was streamed on YouTube, he appeared at ease. The South African-born entrepreneur wielded a flamethrower, unsheathed a Samurai sword and held forth on a wide range of subjects.